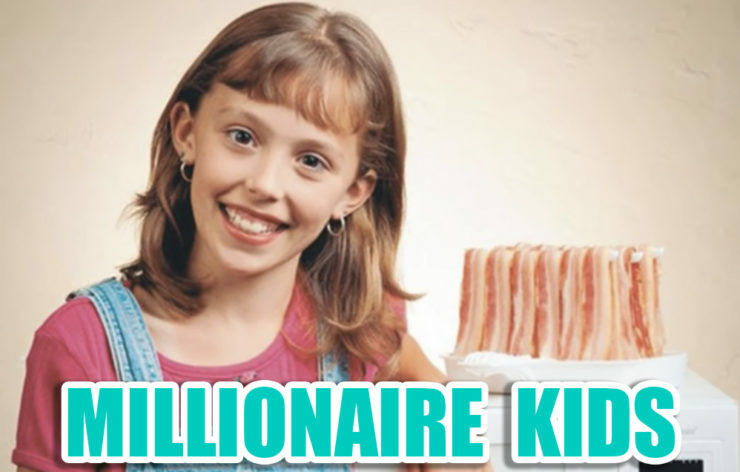 Unbelievable kid inventions that made them MILLIONAIRES overnight. We would all like to think that we’re capable of coming up with a million dollar idea, but it takes a lot of hard work to get an idea off the ground. This makes it all the more impressive when a kid manages to come up with a fantastic idea and see it through. One girl was tired of dealing with all of the grease that accumulated when she tried to cook bacon, so she came up with the Makin’ Bacon, which makes cooking bacon a snap. Then there’s the boy who was frustrated by the fact that he could not talk to his father underwater. After studying underwater acoustics, he developed the Water Talkie, which allows swimmers to speak to people fifteen feet away while underwater. While many adults are turned down when they appear on Shark Tank, one young boy got a $25,000 investment that he soon turned into hundreds of thousands of dollars with his deluxe doggie treat business that he called Ryan’s Barkery. Tons of teens love decorating their lockers, but hate all of the tape required to do so. So one teen decided to create Magnetic Locker Wallpaper, which makes both decorating and redecorating your locker a snap. One girl was just looking for an easier way to color with broken crayons, but it turns out that her patented Crayon Holder also helps kids with delayed fine motor skills.